With a convincing water and energy efficiency narrative becoming mandatory for dishwashers, suppliers are focusing on the small details in the pursuit of ironing out the bugbears of washing the dishes. Not only does a family with three children perfectly fill the backseat of the car, it also makes the division of household labour easy: one to wash, one to dry and one to put away. Dishwashing brands haven’t quite done away with the stacking and unpacking duties — although interiors are designed to make it as painless as possible — but they have managed to eliminate the need to wash and dry up. Brands have paid special attention to drying functions so cups and plates are ready to be put away without taking out a tea towel. Design-wise, dishwashers are a considered purchase that reflects the overall design of the kitchen, making discreet streamlined designs that complement cooking appliances a popular choice. Smeg boasts it has the largest range of dishwashers, offering consumers the biggest choice when it comes to size, capacity, colour and model variations. 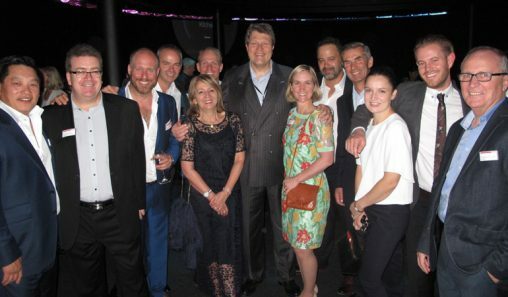 “No other brand on the Australian market can compete,” said Smeg national marketing manager Jim Kalotheos. Smeg’s professional dishwashers were on show recently at the 2015 Melbourne Food & Wine Festival, promoting the brand’s long pioneering history in appliances for the food services industry. “It is the knowledge and experience the brand has gained leading the professional food services industry globally that has enabled it to command such a strong position in the domestic dishwasher market. “Sales over past 12 months show the integrated version continues to be a favourite choice with consumers. Integration, streamlined aesthetics and clean lines continue to be key looks in terms of kitchen design,” Kalotheos said. Ideal for entertainers, Smeg’s Semi Pro dishwasher (DWAUP364X, RRP $3,550) offers a ‘professional’ 16-minute wash plus regular domestic wash program and 15 place settings. “This dishwasher has really gained traction in the past six months as consumers begin to understand its unique features,” Kalotheos said. ASKO is committed to improving the fundamentals of dishwashing in with its latest range. 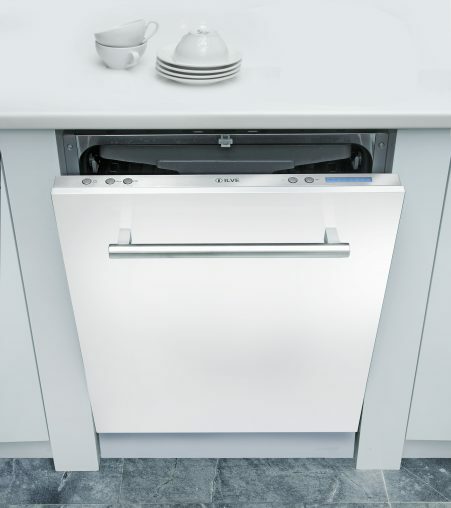 “Our global understanding of dishwashers is all consumers are looking for dishwashers that will wash and dry,” said James Vogdanos, managing director of ASKO. When it comes to drying, the 2015 range will see a new and improved Turbo Dryer system, which the brand first developed in 1996, designed to dry dishes by removing all moist air from the dishwasher. The new range will feature the Instalift Flexi Tray, a height-adjustable cutlery tray that provides a third level without encroaching on space below. ASKO has adopted a minimalist design with full steel flat front dishwasher, developed without handles to blend into kitchen cabinetry. The new range of dishwashers will launch in July 2015 and will be supported by new displays, new training material, digital presentations and above the line brand building. “ASKO is a brand at the forefront of dishwasher quality and technology, when selling an ASKO you are dealing with a company with over 40 years’ experience in selling dishwashers on the Australian market. We sell, manufacture and have our own after sales division, something many companies cannot say they do,” said Vogdanos. 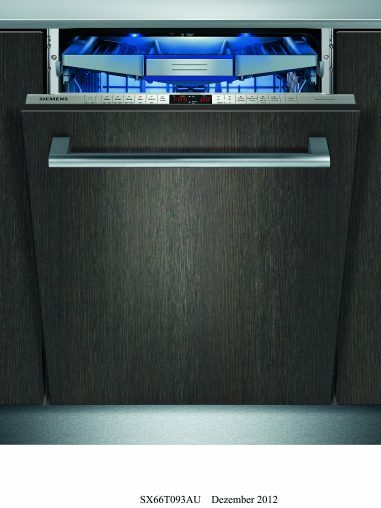 Miele’s new G the top of the line G 6587 SCVi XXL and G 6995 SCVi XXL fully integrated dishwashers feature Knock2Open technology, meaning the door open automatically if the user knocks twice on the fascia. This is a feature that really appeals to consumers in an in-store demonstration environment. “Miele appliances continue to be designed to be seamlessly combined and perfectly integrated into kitchen furniture,” said category manager Louise Paynter. The range has 3.5-star energy and up to 5.5-star water efficiency ratings, and Miele’s advanced intelligent load recognition measures the amount of crockery in the cabinet and adjusts water and electricity consumption accordingly. The sleek and linear design of the dishwashers complement Miele’s Generation 6000 range of cooking appliances, perfectly integrated into the kitchen. Eurolinx, which distributes ILVE and De Dietrich, also markets its dishwashers as part of a suite of kitchen appliances. Bertuccio also remarked on the strong competition in the category. “One of the biggest issues facing suppliers is the increased competition and the need to constantly develop superior products. This ultimately works in favour to the consumer as it provides them with a large array of options in this market,” he said. Developed and manufactured in Switzerland, the Adora SL WP uses a high-efficiency heat pump, also found in V-Zug washing machines, that reduces power use by almost half. “V-Zug is the first manufacturer in the world to realise the advantages of heat pump technology in a dishwasher, impressively underscoring its leading position in terms of energy efficiency,” a spokesperson said. Other performance enhancing features include the SteamFinish function, which uses steam to achieve a spot-free, even finish on glasses and plates. At the end of the drying process, the gentle steam condenses on the dishes as pure (distilled) water and also removes salt residues as well as any traces of rinse aid. The automatic door ejector reduces the drying phase when the rinse program has finished and the newly developed ergoPlus cutlery drawer makes it quick and easy to load and unload cutlery. LG is also borrowing concepts from its washing machine range, using steam to aid the cleaning process. “TrueSteam is powerful yet gentle, and is able to remove stubborn marks like lipstick from your best glasses without leaving them streaky, scratched or damaged,” said LG marketing manager for home appliances, Jennifer Osborne. Home Appliances has consolidated and updated its entire dishwasher range to deliver current trends to customers. Within the Euromaid Range, new black and white glass brushless motor dishwashers complement the Black Pearl and White Pearl Series of built-in cooking appliances. The new models will be rolled out over the next 12 months, a point extrapolated by national brand manager Darren Field. According to the Euromaid team, dry plates and cutlery at the end of the cycle is a key determining factor in the decision process. To achieve this, Euromaid dishwashers have Active Fan Drying, and the Turbo condenser drying system extracts steam at the end of the cycle leaving dishes dryer. 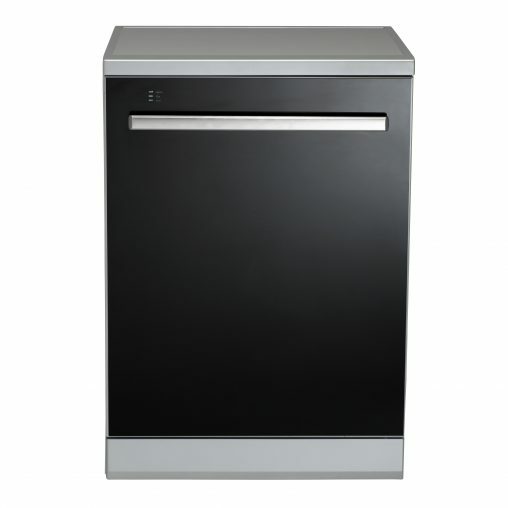 Continuing a theme here, De’Longi’s flagship dishwasher, the DEDW654S, was developed to complement the brand’s oven range. “Aesthetically it is a great fit in the kitchen and offers high-end features such as 15 place settings, 5-star water rating and a brushless motor to increase the life of the product. This model has also been designed to be 15 per cent quieter than previous models,” said category manager Helen Finlayson. At the beginning of 2015, De’Longhi expanded into the fully integrated market segment with the DEDW654FI. “Our new integrated model is fully featured, including competitive energy and water ratings and is designed to integrate seamlessly into any kitchen design, a trend that has been increasing over the years across many kitchen categories,” Finlayson said. This year, the Italian brand will focus on training retail staff, with additional training materials being developed, including video content. When selling dishwashers, Hong recommends getting to know the customer, understanding their lifestyle and how they use their kitchen. 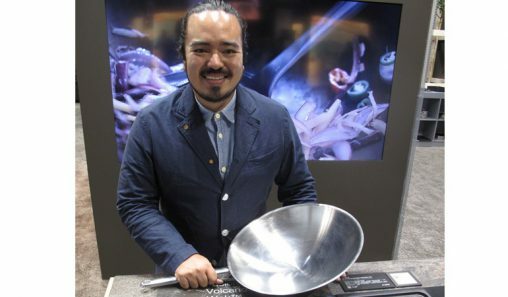 “As cooking and entertaining at home becomes more and more popular, the ease of cleaning up after becomes increasingly important,” Hong said. Now in its seventh generation, Fisher and Paykel’s DishDrawers are tailored to modern kitchens and real customer needs. “The DishDrawer continues to change the way people do dishes. Our models provide flexibility (enabling smaller/simultaneous loads), an ergonomic solution to loading and unloading dishes (from two steps to one), and represent the future of the integrated kitchen,” Hong said. Outside of customers looking for an entry level appliance, Eurostyle has broken its customer base into four segments. “Once you step out of the entry segment, our view on the Dishwasher market is that consumers start by breaking down in to the look they are trying to achieve in their kitchen,” said Sean Beer, general manager of sales and marketing. Beer said Eurostyle has dishwashers to cater for consumers who are looking for a statement piece, a sleek and modern look that blends in with the kitchen, a completely hidden appliance (without sacrificing any performance features) or a fully featured dishwasher that will fit into a small space. “Focus on the needs of the customer and present the products for them to choose from. They know what they want, just not which product!” recommended Beer. 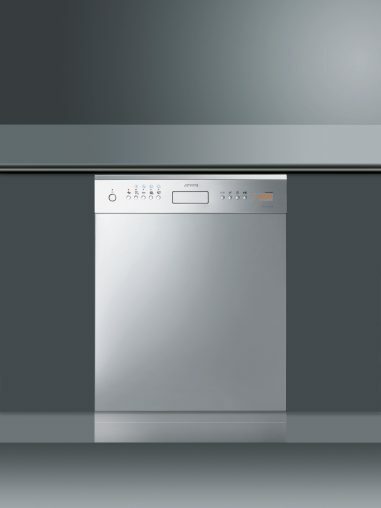 As well as energy and water saving features, Bosch and Siemens have embraced integrated dishwasher design. Ariston’s dishwashers, Harvey Norman’s house brand, are designed to save consumers time and energy. “Dishwashers are now more innovative, more technologically advanced and more efficient than they used to be,” said marketing communications coordinator Shelley Neill. A notable feature of the new range is Active Oxygen technology, which “uses ozone molecules to breakdown bad odours and bacteria, so that you have a perfect hedonic tone between washes”.